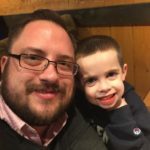 The Pediatric Congenital Heart Association is pleased to welcome Jonathan Corwin as our newest blogger. In just a few short months, Jonathan has dove in and participated in many PCHA activities from advocacy, to fundraising, and now blogging. Welcome, Jonathan, we are so grateful you found us! If you would like to be an advocate, like Jonathan, sign up to join our CHD advocacy network, today! There are times when you find a cause and then, there are times when a cause finds you. My son, Lukas, was welcomed into this world in June of 2011 looking as healthy as his brothers before him, even though we knew something deadly was lurking. Having already been diagnosed with Truncus Arteriosus, it was a moment that forever changed our family and brought about experiences I never could have imagined. 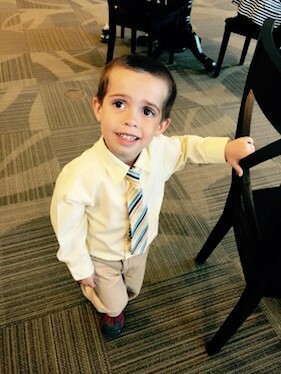 Lukas is why I advocate on behalf of Congenital Heart Disease (CHD). After watching my own personal heroes in scrubs and lab coats fight to save his life, how can I not? Many CHD survivors cannot advocate for themselves. How can I not? I chose to attend the 2016 Congenital Heart Legislative Conference in Washington, D.C. earlier this year with Lukas, and it was an extraordinary experience. I was inspired among so many survivors and their loved ones, a collection of people, many of them strangers to each other, all sharing a common bond and mission. The determination to fight for this worthy cause energized the room. The conference was an opportunity to share our stories and command action with Members of Congress elected to represent us. And that is exactly what we did. There were stories filled with joy and those filled with heartache, stories of second chances and those we have lost. Sharing Lukas’ story in the fight for CHD advocacy has been one of the most incredible and rewarding experiences of my life. After Lukas was born, I watched helplessly over the next two weeks as he went further down the path of heart failure, while his doctors gave the rest of his tiny body as much time as possible to grow stronger. He was immobilized and intubated. As if this was not already terrifying enough, he stopped breathing due to a nerve response triggered by the breathing tube. Alone in the room with him the first time this occurred, I panicked as his color drained, alarms began to sound, and medical personnel rushed in from every direction. They began their work and openly pleaded with him to take a breath. I can honestly say I have never been so terrified in all my life. This scene was repeated a half dozen times over the next few days leading up to his first open heart operation. He came through this ordeal with flying colors and we were soon able to join him in recovery. My little boy was less than a month old and already he was the strongest person I had ever met. He underwent a second repair in 2015 and continues to be a shining example of perseverance. 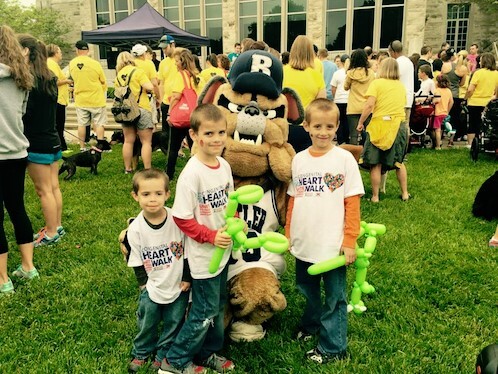 For the first time ever, Lukas met someone with the same heart defect at the conference. It was a very personal moment. My son beamed while showing this young lady his scar, and she asked if she could FaceTime with him and keep in touch. I was so touched. I was forced to hold back tears. At 17, she is wise beyond her years. It is people like those we met at the conference and on this journey who will bring about change in outcomes and patient care. Sharing stories likes Lukas’ not only brought us closer at the conference, but were a window for Members of Congress into the importance of fighting for this cause. 160 attendees participated in meetings with our legislators as we implored them to cosponsor the Congenital Heart Futures Reauthorization Act of 2015 and make appropriations requests relevant to CHD for the Centers for Disease Control and the National Institutes for Health. We made a lot of progress and laid the groundwork for even greater successes in the future. I did not find this cause, this cause found me. Now, I feel the responsibility on behalf of my children, and those other CHD survivors who need a voice, to use every tool at my disposal in this effort. Too often we have potential champions for this cause who have never been asked or given the opportunity to lend their voice. I am here to ask you to lend yours. Will you join the fight for CHD advocacy and help introduce others to this life changing journey? 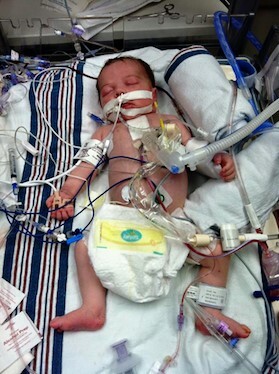 Congenital heart disease is the most prevalent birth defect leading to infant mortality in America. That simply is not acceptable. Not by any measure. Together, we will build a coalition of legislative champions who strive to give healthcare professionals and researchers every tool they need to save lives and improve patient care. Jonathan Corwin lives just outside Indianapolis, IN with his 3 sons – including Lukas, who was born with Truncus Arteriosus in 2011. In addition to his advocacy on behalf of congenital heart disease, Jonathan was previously an aide to United States Senator Richard G. Lugar. In his spare time, he enjoys taking daytrips with his children, Indianapolis Colts football and Indiana Pacers basketball.